Chenequa is a small, beautiful village in Southeastern Wisconsin. The small population and rural surroundings create a peaceful, tranquil environment for its residents. 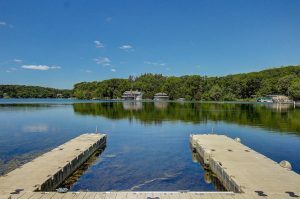 The village is also in the center of Beaver Lake, Pine Lake, and North Lake—great for swimming, fishing, and boating. On the contrary, if you’re looking for entertainment and nightlife, downtown Milwaukee is just 30 miles away. Chenequa has plenty of beautiful homes for sale, big and small. Whether you’re raising a family, retiring, or looking for a summer home, Chenequa is a great place to live! Have a look at the available Chenequa homes below, and then call and talk to your knowledgeable and professional NextHome Lake Country Chenequa listing agent today!